Our aim is to ensure we provide a unparalleled service to our clients ensuring convenience, affordability, reliability and above all a pleasant experience. We pride ourselves on our high level of services and quality. All our services are carried out by experienced drivers, who have been driving for many years in Luton. Our fleet of vehicles is one of the newest fleet in our industry, therefore clients are guaranteed a comfortable and safe journey. Please click on one of the options for more information. Imagine having your own driver and car waiting at the airport when you arrive at London Luton Airport. “A MEET AND GREET SERVICE” It takes out the hassles of buying train tickets and trying to find the right train to catch to your destination, and can leave you late for your meeting, conference or hotel check-in. We provide a reliable, efficient service 24 hours a day, 365 days a year, to assist you with all of your transfer needs and we also offer a whole variety services which include airport transfers and taxi service to and from any airport, sea port, or cruise terminal. Our staff are very discreet and willing to assist you however possible. 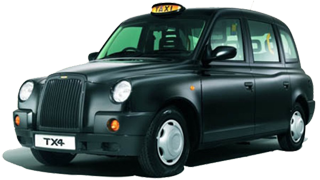 Many of our customers are repeat customers, knowing that they will not find a better taxi service around.